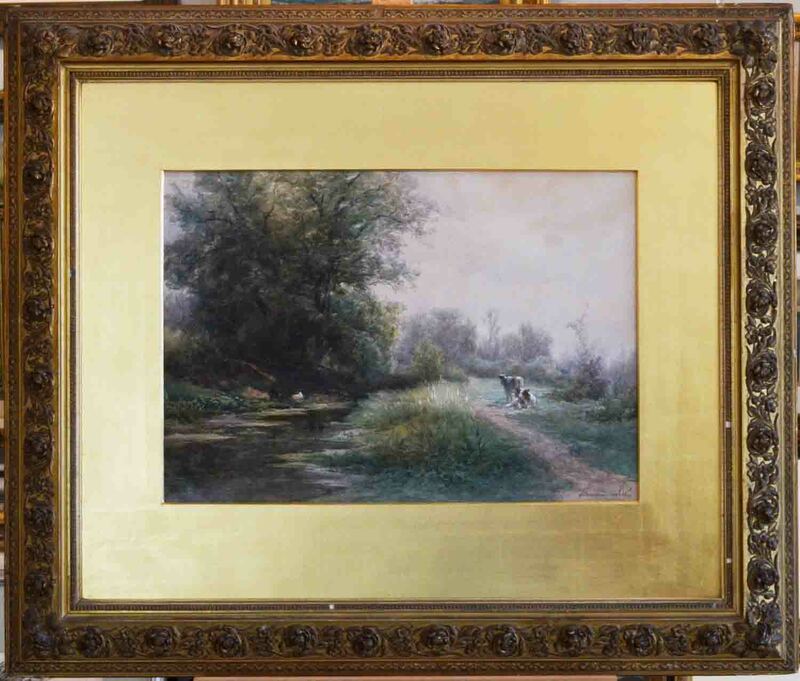 This is a fine original oil on canvas painting by British artist Walter Heath Williams. 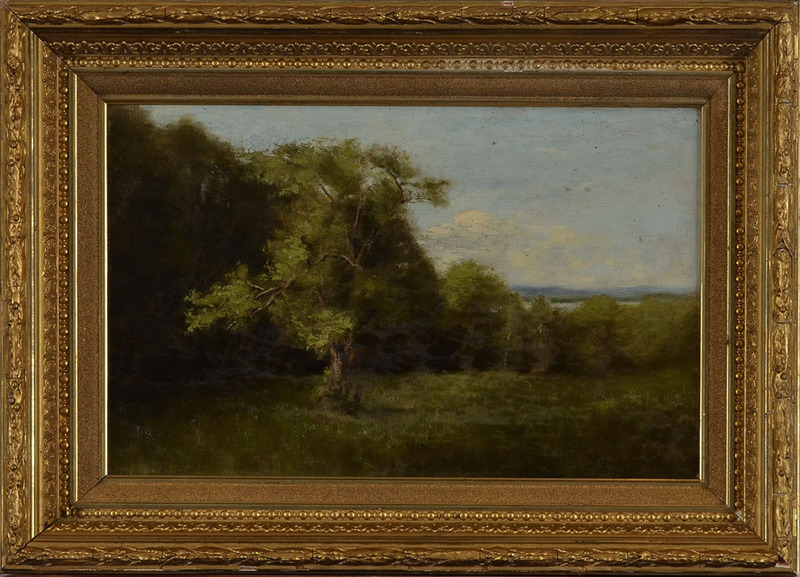 The painting is partially signed lower right edge. 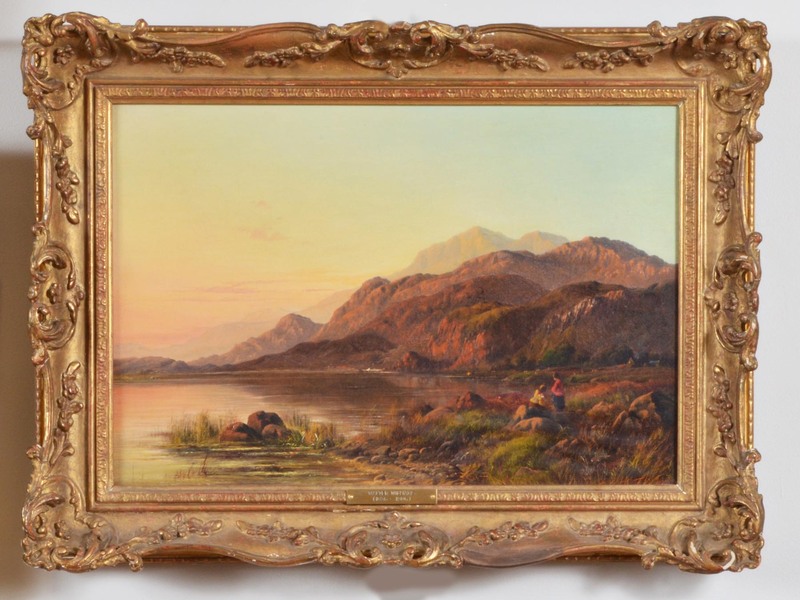 The painting most likely the Lakes District in Northern England. A beautiful work, subtle tones of the sky right after sunset. 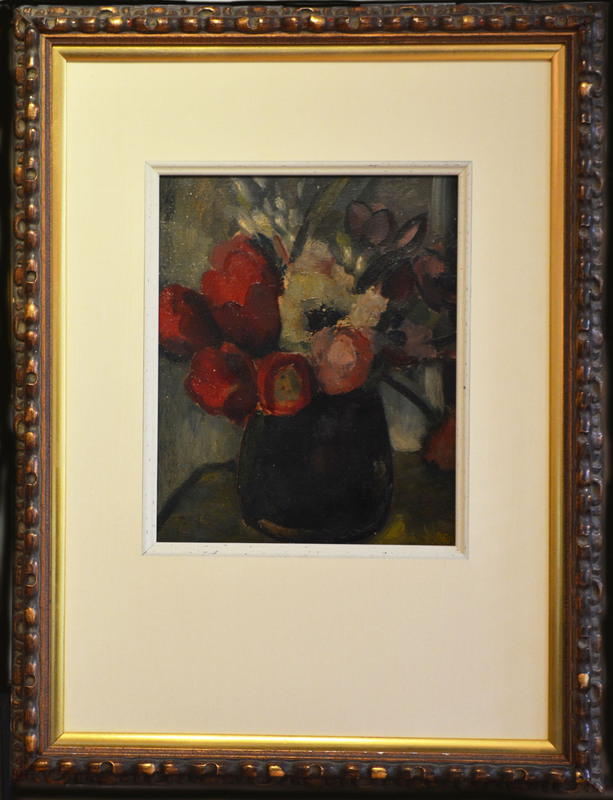 This artist was a member of the Royal Academy and lived most of his life in Devon and Cornwall. 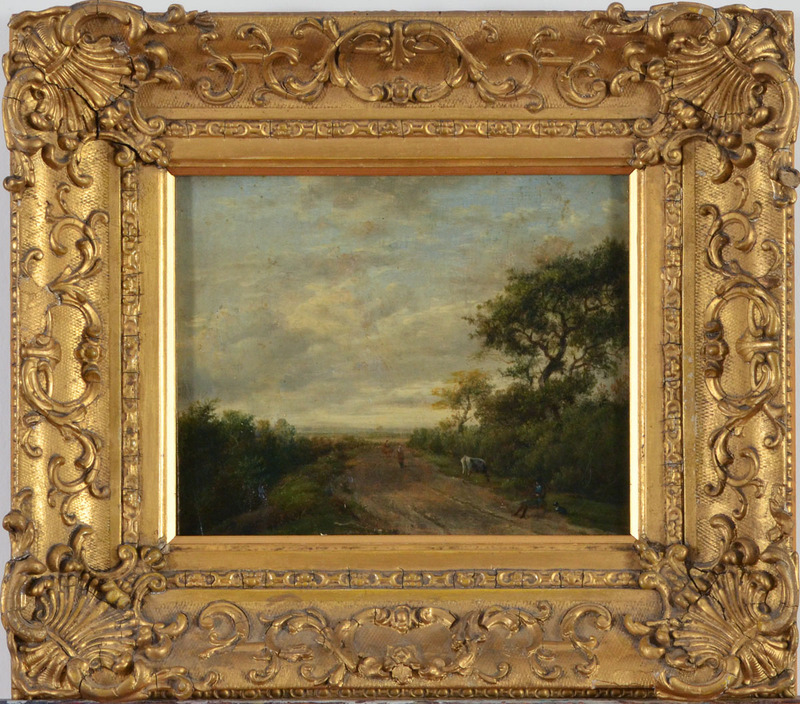 The painting is in the original turn of the century frame. The canvas measures 11X16 inches. 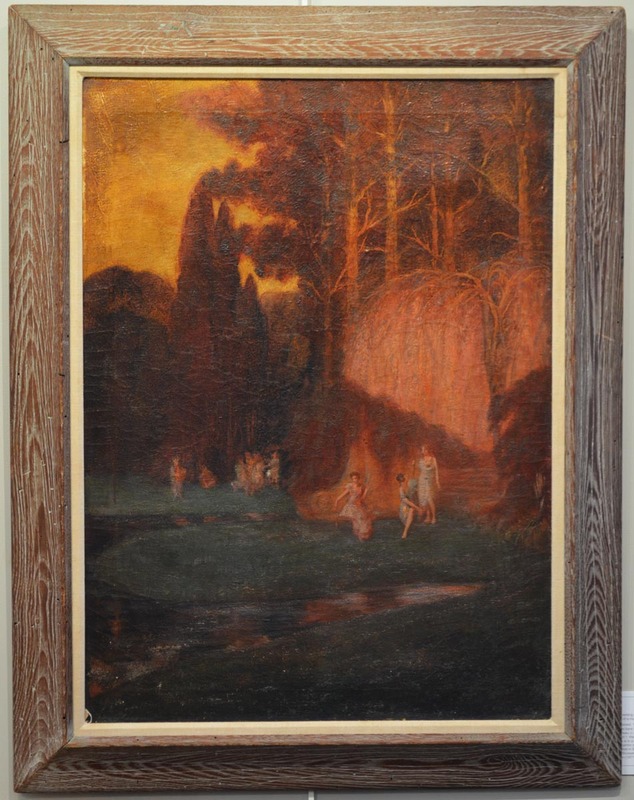 The overall frame size is 15X20 inches. Excellent condition. 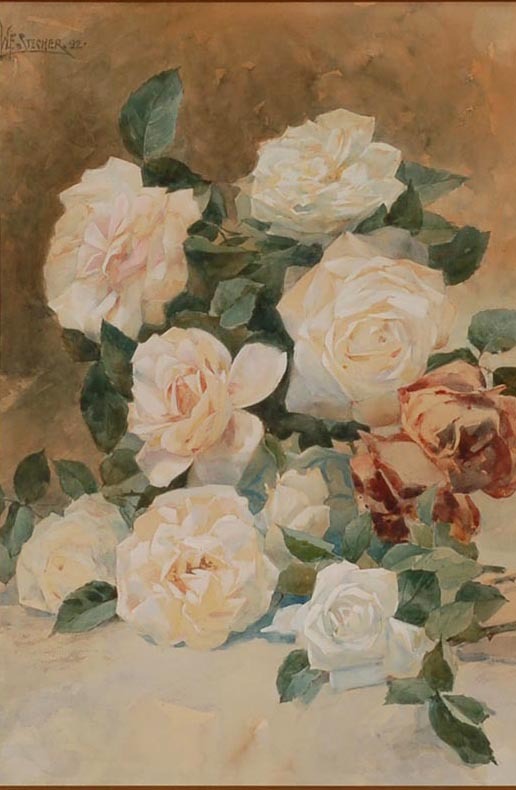 This is an original painting done in watercolor by British artist James W. Milliken. It is titled on the liner September in Lee Hall Park. The painting itself measures 7X8 1/2 inches. 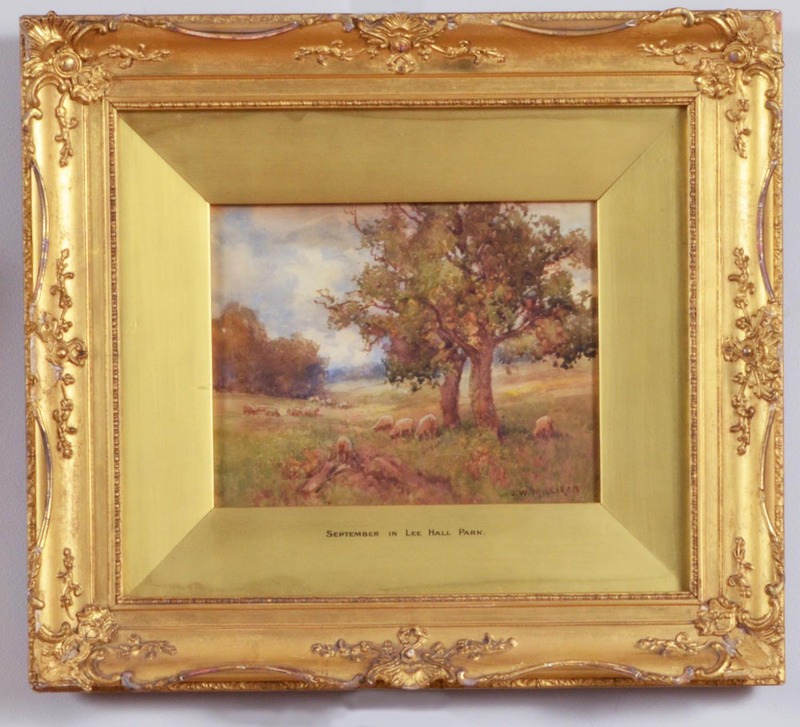 The overall frame measures 14X16 inches. 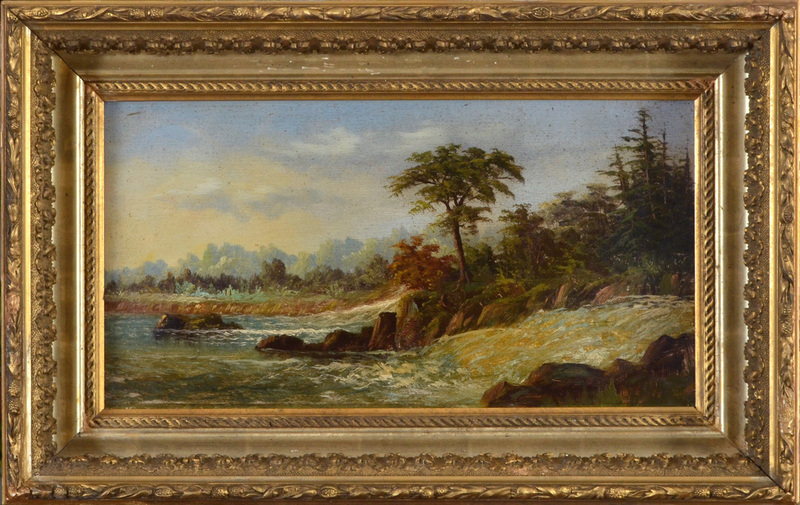 This painting appears to be in the original 19th century frame. A few minor chips to the frame. It has rich colors to the work unlike many other faded 19th century watercolors this one is still fresh.